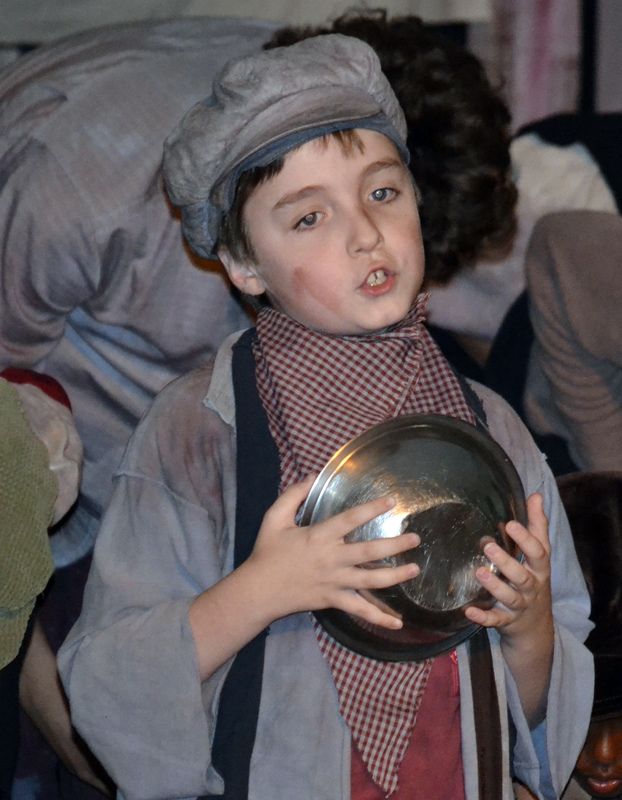 When 10-year-old TOJ Marceau was cast as Oliver in BarnArts’ first Summer Youth Theater in 2012, it began a path for TOJ which now takes him on stage at the Lebanon Opera House and Chandler!, as well as in his middle school, Thetford Academy. 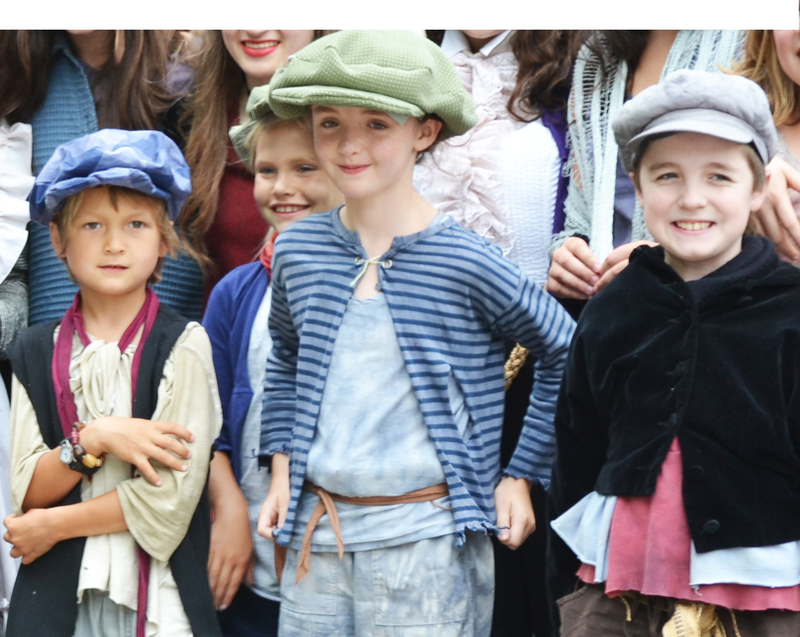 Despite experiencing larger productions with bigger name arts centers, TOJ keeps coming back each year to participate in BarnArts Summer Youth Theater. 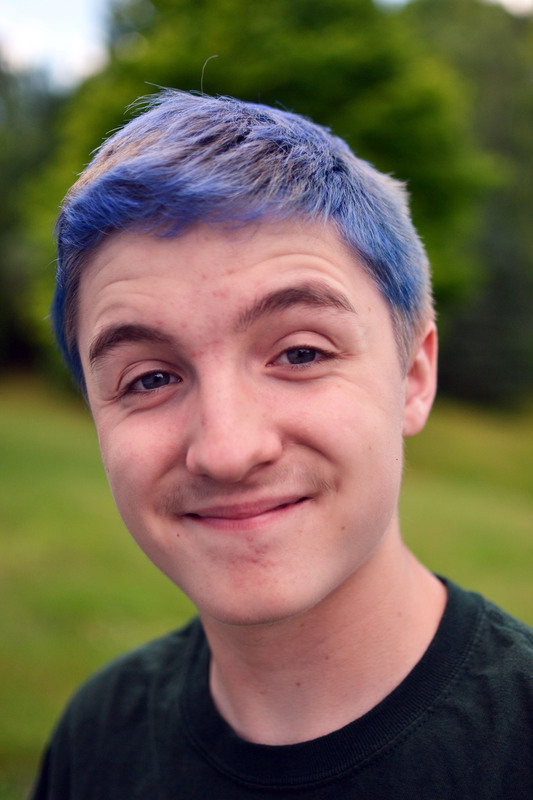 “BarnArts is what made me the actor I am today, and I don’t want to forget,” says TOJ, now 14 and was cast as The White Rabbit in this year’s Alice in Wonderland. “I come back for the fun,” says JAMR. “The program is rife with smiles and light hearts.” JAMR particularly loves the mixed ages and enjoys helping with the younger kids. 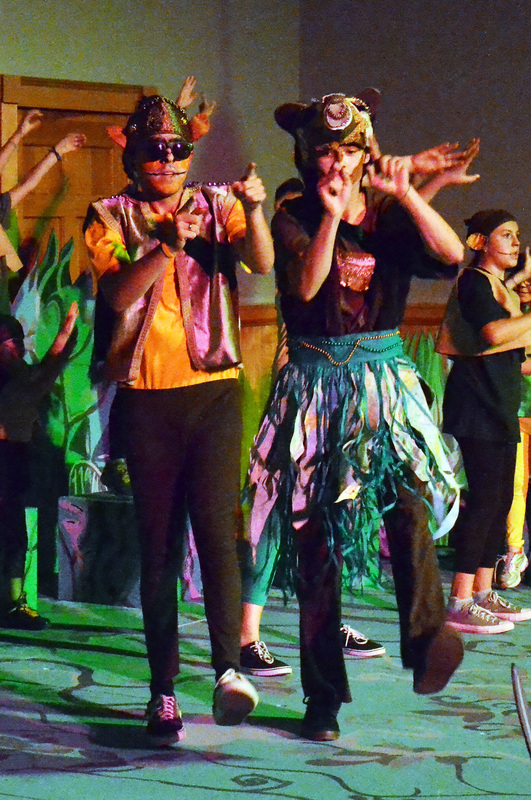 JAMR played the monkey king in last year’s Jungle Book, which indirectly led him to more lead roles this year with Trumbull Hall Troupe and Chandler’s Anything Goes, earlier in July. TOJ was also in both productions. Amelia lives in Brooklyn, but her family has a second home on Prosper Road. She stays with her grandparents, who live in Woodstock, while her parents are working during the week back in New York. This year BarnArts had two other cast members who live in other states and are staying with family or in second homes in order to do the program, Rorie Cochrane from New Hampshire and Tamsin Mueller from Massachusetts. In Alice in Wonderland Amelia played Rose, the head “mean flower” who gives Alice a hard time when she is only 3 inches tall. Eight-year-old Marlena Farinas is another mean flower, Lily. Marlena has been getting experience with BarnArts since she was able to join the large dance numbers and wear the smallest poodle skirt in Grease at the age of 5. 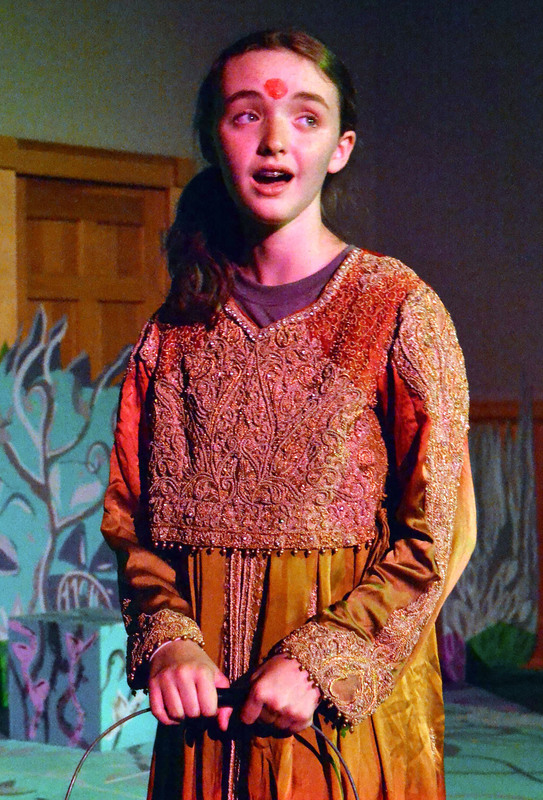 Just like with TOJ, Marlena has developed a real passion for performing, and she has been cast in Northern Stage’s A Christmas Carol this fall. 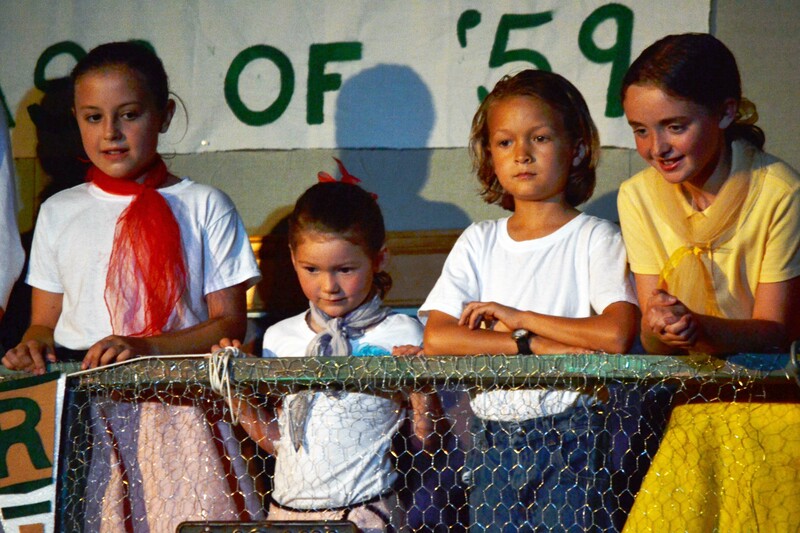 Skylar Haley, Marlena Farinas, Django Farinas and Amelia Killackey in GREASE in 2013. Marlena’s older brothers, Adam and Django, both began with smaller roles in Oliver and have worked their way up to bigger roles. Adam was the lead Balou in last year’s Jungle Book and this year played the Caterpiller, another smooth-talking, crooning animal, just like Balou. Adam will be joining TOJ and JAMR in the Trumble Hall Troupe this fall. BarnArts Summer Youth music director, Carol Cronce, is the music director for Trumble Hall Troupe, a “funds for charity” youth theater program run by writer Jodi Picoult at the Lebanon Opera House. Django had his first major role this year, at the age of 10, playing the King of Hearts and running the trial of Alice. “My favorite part of BarnArts is meeting new people and getting better at acting, “ says Django. While Adam and JAMR will have only one more year to do the program, TOJ, Amelia and Django have many more years to be “the kids who have been with BarnArts from the beginning,” a favorite role they can do year after year. “I am proud of being in BarnArts,” says TOJ. “I will stay in the program until the day I grow up.” Luckily for BarnArts, he has 5 more years!